This series was inspired by the type of ideas expressed in The New Yorker cartoons. There are eight pieces in the series. 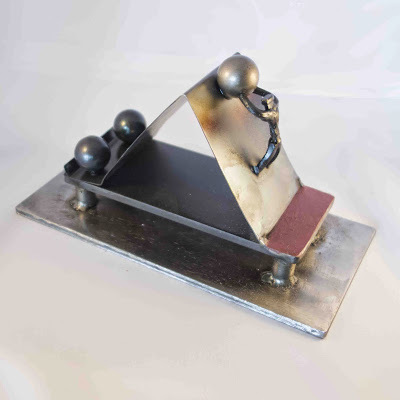 Each piece uses the sphere to illustrate suspension and tension in the form of support, balance, and danger. 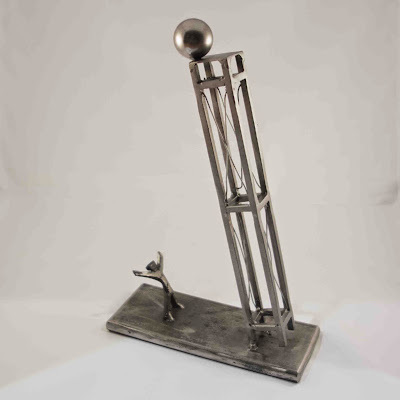 Each piece is handcrafted from mild steel, then painted with acrylic and coated with urethane to resist rust. Each piece is signed and dated. 8" x 3" x 5"
6" x 2.5" x 9.25"
10.25" x 3" x 8"